With all the recent refocusing of the news on the Syrian civil war right now I figured now might be a good time to actual play Endgame: Syria, a newsgame app that I downloaded months ago and left sitting idle on my tablet, and write about it for PopMatters. This is one of those games Apple refused certification because it dealt with real world issues and where they said the creator should have written a book instead. That logic is maddening, but more importantly it is unhelpful. Honestly, I doubt I would have gotten as much out of a book as I would have out of the game. A book would have educated me about the conflict, about what people involved were doing and why, but it would not have imparted the understanding that actually interacting with the systems of options and limitations can provide. Even an abstracted facsimile of the systems can impart more knowledge and more importantly wisdom on the situation by letting you come to understanding in your own time through your own effort. 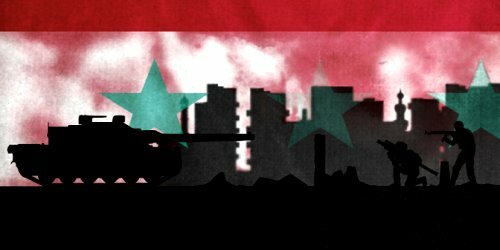 Endgame: Syria isn’t a replacement for traditional reporting, but in this day and age where we cannot so easily separate things into good and evil, it is a necessary supplement. My own thinking and understanding of the war changes over time the more I play the game. I go through this shifting understanding and thinking in my post and pretty much end in the most limp, powerless position one can when faced with such a scenario. With regards to understanding, that is probably for the best.